You might not realise that the Mini Cooper started off as a rally car back in 1961. In fact, in 1962 John Love won the British Saloon Car Championship in one. A number of different versions were made in the following years and a lot of rally wins in different events were gained. As a private vehicle, this model has never really fallen out of fashion and periodic upgrades since its re-emergence in 2001 have seen it remain as one of the most desirable small cars around. The latest (2014) version has received excellent reviews and certainly looks the part. There is no doubt that is one of those great cars that are fantastic to drive but also somehow feel like an important part of our driving heritage as well. 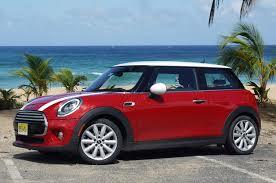 If you are looking for a small car that it economical to run and also looks great then the Mini Cooper is hard to beat. You are sure to turn heads as you drive around in one of these vehicles and you will feel great about it too. They are fun to drive and are perfect for nipping about the city and finding the parking spaces other drivers are scared to even try and use. On the downside, this is classed a premium small car, so the price tag isn’t as enticing as it for other compact vehicles. However, with there being so many second hand models on the market right now you can try and find one which suits your budget. Of course, the fact that you won’t spend a fortune on fuel means that you might be tempted to splash out a little bit more on the initial purchase. If you are buying a brand new Mini Cooper then you will soon discover that there are a lot of tempting additional extras you could pay for on top of the basic car. If you want a sporty model then the Cooper S is a good bet, with a lot of power and nifty handling on offer. Like most cars that have been made over a long period of time and which come in a number of models, the insurance groups for the Mini Cooper vary widely. No matter which model you choose to go for, you won’t be paying out the very lowest insurance premiums for your car. The most basic models sit around the 6-10 groups, while the sportier models are a lot higher up and bring heftier insurance premiums to anyone who owns them. As is always the case with cars with such a wide range of models, it makes sense to get a full quote carried out on the exact model you are interested in before you commit to buying it. There are some excellent reasons to buy a Mini Cooper, with great looks and driveability among the top ones. While it is reasonably expensive to buy a new one, you might decide that a second hand one for a lower cost suits you fine. The running costs are low in terms of fuel but the insurance group isn’t the lowest around. All in all, if you are happy paying a little bit more for a higher quality of city car then you could very well end up with one of these and love driving it.